If you've been following Selflessly Styled for a while, you've probably picked up on the fact that I adore the brand Miakoda. I fell in love with them when I first tried their oversized hoodie (you can read more about their ethical sustainable manufacturing practices in this review), and it ended up being my most worn item of 2017! When I heard they were coming out with a new cardigan and jumpsuit, I was over the moon with excitement to try them! I was excited to wear the cardigan (who doesn't love a long cardigan?! ), but I was pretty sure the jumpsuit was not going to be my style. In fact, the wonderful team at Miakoda knows my style so well that they themselves thought the jumpsuit wouldn't be my thing. Why? It's super slouchy with a pretty dramatic drop-crotch silhouette, as someone who doesn't really go for the whole "athleisure" vibe, it didn't seem like something I'd actually wear. Miakoda sent it with the cardigan anyways so that I could try it on and then pass it on for someone else to wear if I didn't love it. The package arrived a month ago, and the moment I slipped into jumpsuit and cardigan, I was completely won over! Since then, I've been wearing both items on repeat. I love that I've had the chance to wear them for over a month before writing this piece. I can now confidently tell you that I genuinely live in these two pieces. Both are made from a slightly stretchy and perfectly drape-y modal spandex blend that's subtly ribbed which gives it a nice texture. The cardigan is equally as versatile, but it didn't surprise me quite as much because I already knew I'd love it! I'm not the only one who loves these items. While I've been wearing the black jumpsuit with the grey cardigan, my friend Adrienne has been wearing the grey jumpsuit with the black cardigan. We agree that these are some of the most deliciously comfy items that we've ever tried. 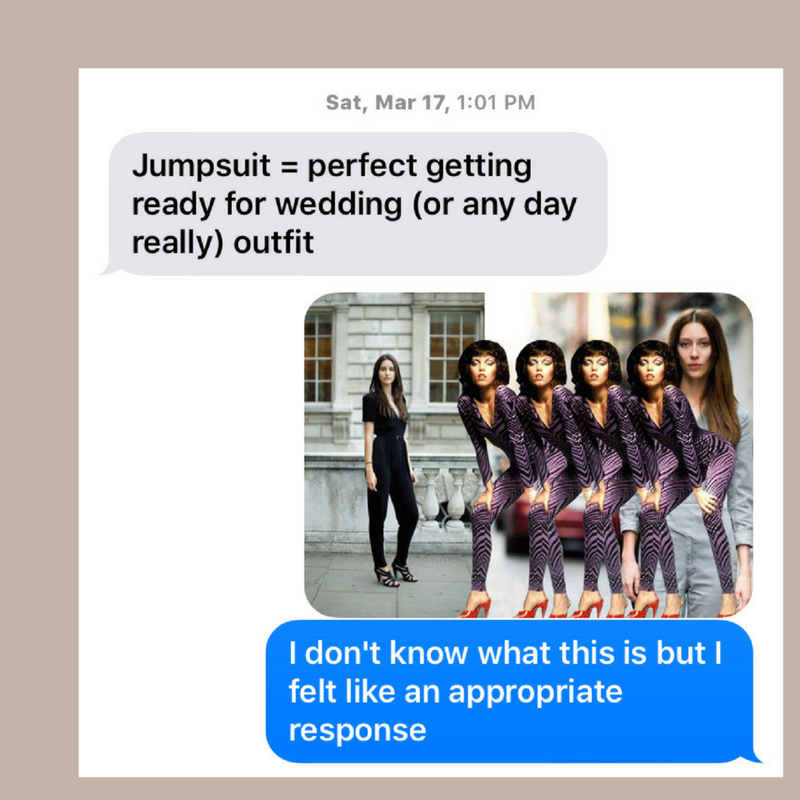 Adrienne has been a gal-on-the-go lately and texted me from an out-of-state wedding that her romper made the perfect traveling and getting ready outfit! Pictured in this review, Adrienne wore the romper and cardigan for a casual "work from a coffee shop" kinda day. We went to one of our favorite local Portland coffee shops, Push X Pull (which, by the way, has the world's best salted chocolate chip cookie. I hear their coffee is amazing too, but I can only vouch for their chai since I'm not a coffee drinker...) I love the super chill street style Adrienne has going on with the platform sandals and the easy feel of these pieces worn together. If you're nosey like me, you might be wondering about the bra situation for the jumpsuit. It looks super cute with a bralette (Miakoda has some adorable ones), and Adrienne's look is styled with one of my favorites from Free Label! I opted to rig up a different situation in order to show a truly backless look, but I love wearing it both ways! Who should buy these: I consider this the perfect outfit for traveling, especially because it can fold up so small. Ladies who appreciate comfort and find themselves on the road or in the air will swoon over these two items. Also, with the adjustable straps on the jumpsuit, I think this would make an easy item to slip down for nursing mamas. Who shouldn't buy these: I was going to say the cardigan wouldn't be a good idea for shorter ladies, but then I saw how great it looks on Miakoda's petite model! It looks awesome, but I could see the length getting in the way for some preferences. For the jumpsuit, the low back definitely isn't everyone's cup of tea. I have worn it with a crop top/sports bra to make it more modest when necessary, but layering it like that makes it less polished feeling, so if you're looking for a modest date night item, this wouldn't be it. I was compensated by Miakoda for my work of styling, photographing, and writing about their new product. As always, all opinions are honest and my own.